SACRAMENTO, Calif. (CN) – Claiming to have been “delegitimized” by unfair media coverage, the leader of California’s secessionist movement said Monday he’s pulling his petition to let voters decide whether to secede – and will seek permanent residency in Russia. The announcement comes less than three months after California elections officials cleared backers of the “Calexit” movement to collect signatures and qualify the measure for the November 2018 statewide ballot. Backers hoped to make California its own nation and divorce the Golden State from the union with voter approval. The improbable movement gained steam following the election of Donald Trump, though it would have also required approval by two-thirds of Congress and three-quarters of the other states. Yes California leader Louis Marinelli said Monday the grassroots campaign was unable to handle the sudden influx of both support and negative mainstream media coverage. He said the Calexit movement grew to more than 97,000 registered supporters and 1,200 donors. The group had until July 25 to collect at least 585,000 voter signatures. Shortly after Calexit was cleared for signature-gathering by the state, it was revealed that Marinelli was shepherding the effort from Russia. Supporters and donors worried that Marinelli was suddenly a distraction to the burgeoning fundraising efforts. “From the beginning, I have pointed out the trouble I bring to the table with my political background and my history in Russia, a country I have grown to love,” Marinelli said. He added that he is hoping remain in Russia indefinitely. While the current Calexit petition is being shelved, California secessionists say they will pick up the fight and introduce a new measure. “We are promoting nonviolent actions to establish the Nation of California using legal and constitutional means to do so. 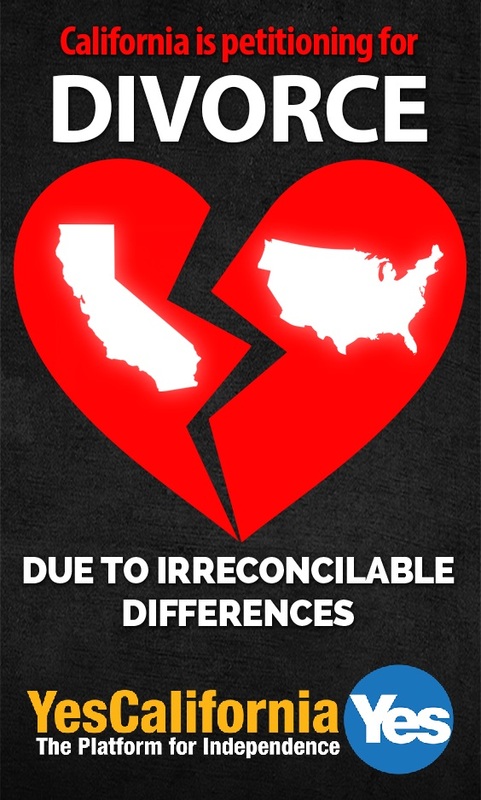 We advocate for peaceful secession from the United States,” the California Freedom Coalition said in a statement.